Players receive emails between levels, which offer narrative updates and choices that effect the scanning levels. NB: this is the OLD design. 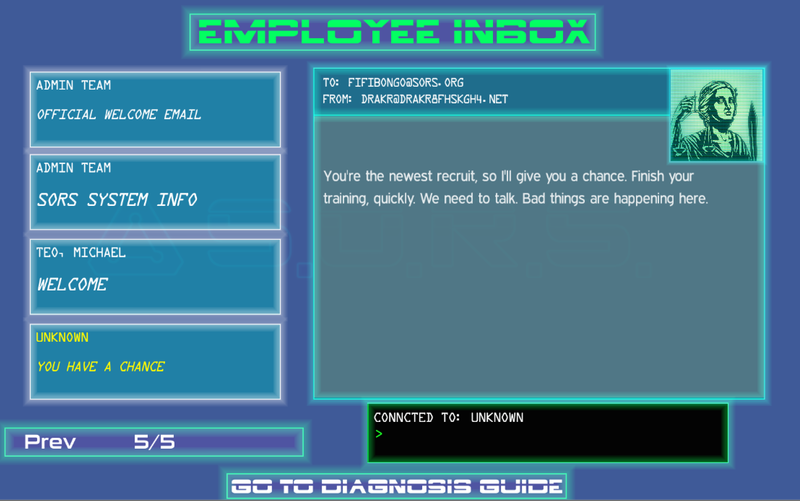 We've put a newer screenshot up showing the new UI.